Since I started my studies on Master’s Program I understood that my future would be connected with research, but it was difficult if not impossible to predict the procedure of becoming a researcher. Thus, my mini-thesis is the first step that will empower me and give an insight into issues of this area. From the very beginning of my studies I realized that the most challenging area of research would be a literature review section, and never thought of further steps. I must admit that data collection was the most exciting and enjoyable experience. Firstly, I found it very useful to design questions appropriate to my study and leading to answer the main research question. Thus, I understood that framing questions is the crucial step and it is always in process of being revisited and improved. As a result reading literature helped me to make questions clearer and focused on certain areas of online learning. This experience gave me an opportunity to evaluate the importance of literature review as before I could not understand why we needed to know what other researchers had done. Secondly, choosing participants was not difficult as the criteria for them were set when working on previous sections. During semi-structured interviews participants were open to discuss any issues of their personal experience; moreover, they felt appreciated. Surely, it was only after building trust with participants by discussing the purpose of the study, the confidentiality and anonymity issues. Also as our professor suggested I tried to emphasize that their answers were very important to me and all the questions included the words like “in your opinion”, “what do You think” and etc. This made it clear that interview was not a test of checking their understanding of some concepts, but their opinions were valuable. Thirdly, when collecting data different ways of taking notes and recording responses were tested. I wanted to be prepared for any circumstances that will be in future research life. Therefore, one interview was recorded and then transcribed, but for another I took notes. As for me both ways have pros and cons. In the first case I did not like transcribing as it took much time, but for sure it gave more details, as for second interview I liked the idea of writing key words, at the same time I was afraid of being biased and taking notes of those ideas that were important for me. Overall, this fall session is a significant starting point for our actual data collection of Master’s Thesis. I have understood the main challenges and opportunities of the chosen research design and data collection instruments. I am looking forward to collecting data and making contribution to chosen area of research. As I understood from professors and reading materials literature review is the most important part of the research and it demonstrates your knowledge on the issue as well as serves as evidence of your ability to understand thoughts and ideas of other scholars and apply to your work. It is easy to comprehend but difficult to implement into life. My first attempts in writing a literature review were met by obstacles and barriers. Thus, I did not know where and how, most importantly, what to search in google. As a result the only thing that I decided to do was to follow my intuition. This effort was appreciated by professors and my very first work received a high result. It inspired me significantly and I thought that the next literature review would be even easier and I developed the skill of working with written sources. A month ago I sat to write a literature review for my Thesis and I was completely lost in dozens of scholarly articles that seemed to me perfect and ideal for my area of research. However, having read them I realized that there were no sources that could be used for my Thesis topic. Panic had taken my thoughts and I was completely frustrated. The situation has changed when we had individual meeting with our supervisors. Professor Aisi supported me by asking questions that let me see the bigger picture of my reaserach topic. Moreover, she shared several links that I included in references that I am using currently when the logic leaves me and panic starts taking my thoughts again. Thus, there is a detailed description of steps that should be taken towards successful literature review. Furthermore, there are tips that can be used by any graduate student to stay focused on writing process. In addition, you may find it useful to read recommendations for improving your academic writing skills. In conclusion, I would recommend you to find a critical friend who will read your work and say honestly whether he understands your ideas and what he thinks about a research area. This will definitely help you as the main aim for us is to show the importance of the issue and address it to interested parties by means of writing. My first meeting with the term “Plagiarism” happened 3 years ago. It was the period of working on my final paper at University. Everyone was obsessed with passing the test on uniqueness of the work. Most of students knew what to do to avoid the machine that was checking the uniqueness of the text. For example, some letters were typed in Russian, some of them were in English or special technologies that could hide some sources were used. However, no one knew exactly the strategies on how to make the work distinctive and contribute to knowledge body on research topic. Another important issue that was complicated while writing the final paper was searching for resources. Most of students were asked to write the paper and we knew the exact amount of words for sections, but what to do and how to do that work was more than interesting to every student. Thus, we did not have a uniform system and there was a wide range of ways on how to cite that confused us. Currently looking back at that experience I can clearly state the significance of unified system of citation and referencing. At NU I became familiar with APA (American Psychological Association) style that is widely spread within social studies to cite sources. This experience helped me to value the standardized system for citation because most of articles and academic works available on scholar.google.com were using APA. The feeling of being in a great world of research inspired me to use the APA style and it showed the importance of plagiarism and its consequences to my students. During the journey of understanding and applying APA there were a huge number of questions, mistakes and time spent on simply understanding the logic of this style. Another difficulty was in citing not printed sources and the overwhelming number of literature on correct APA citing was confusing rather than helping. I still struggle when citing the videos and youtube clips, and sometimes feel that I need to revise how to cite the journal and magazine which is citing the source that is citing another source. In conclusion I would like to state the necessity of using the unified standards for academic research world as it provides a great number of strengths. However, I admit that we need to work over it. Thus, it is crucial to spread the idea of academic honesty and property to avoid the mistakes that I had during my studies on earning Bachelor Degree. 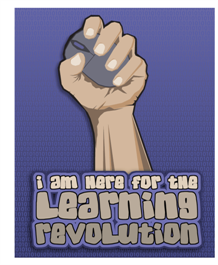 Online Learning: Evolution or revolution in Higher Education? Today the time requires significant changes in the procedure of getting and delivering education. This is due to the globalization and internationalizations of people’s lives. For a global citizen time and place constraints are no longer a barrier to earn a degree. The understanding of learning processes, especially in Higher education, is shifting. As Hiltz and Turroff (2005) claimed “Online learning is a new social process that is beginning to act as a complete substitute for both distance learning and the traditional face-to-face class” (p.60). These authors even predicted that in 50 years the revolution of higher education will inevitably change both process and institution. They based their assumption on the survey conducted among students and their preference of blended learning to traditional face-to-face classes. Despite the huge number of those who support the idea of substitution the traditional classes, Hiltz and Turroff (2005) express their concerns for opponents. The history shows that the latter can be “damaged or destroyed if they do not adapt” (p.60). The article highlights the driving forces for online learning that imply student’s flexibility, digital library, the value of instructors, organization and competitive environment. The discussion of consequences of online learning is the last part of the article. Here the authors speculate on future life of online education and some ethical issues on the access to education. Furthermore, Kim and Bonk (2006) explored the potential opportunities and pitfalls of online teaching and learning in higher education. They surveyed instructors and administrators in post-secondary institutions to get to know their predictions of future of online learning. The opinion of respondents obviously is based on their previous experiences of working in a computer-mediated environment. These authors conducted a literature review where they focused on pedagogy and technology of online learning. Then they developed a method for data collection to find out the factors affecting the future and present state of online education. The authors conclude their article with discussion, implications of the findings and study limitations and recommendation for research. Based on two articles and own opinion I may assume that the main strengths of online learning is the flexibility of schedule, equal opportunity and access to instructor’s feedback, less expenditures for electricity and there is no need to be bound to classrooms. Moreover, this is an excellent chance for instructors and teachers to adapt their teaching to the new trends and requirements of education because of interactive nature of online education. However, the lack of real communication is the main drawback especially for those students who are earning their first degree. They may have a very long adaptation period shifting from traditional face-to-face classes to asynchronous learning environment. The most challenging task for me was to choose the topic of research. The reason lies in the fact that there are a myriad of interesting and eye-catching topics in Kazakhstani education that worth researching. Since any reform starts with people I decided to be focused on human interaction, more precisely -professional interaction. The case of putting two strangers who share different educational and cultural background in one classroom seemed to be the most promising. Thus, the purpose of this study is to explore teachers’ experience in team-teaching that involves international teachers and local teachers in one secondary school of Kazakhstan using interviews and observation. In our case we explore the type of team-teaching when two teachers are put in the same classrooms and plan, teach, and evaluate students’ achievements together at schools. One of them is a representative of any English-speaking country such as New Zealand, Great Britain, United States of America and Australia and another is a local teacher of the same subject. As teachers who share the same culture are likely to have less significant challenges in finding the direction of their teaching and knowing the peculiarities of teaching and learning processes of the country, so in contrast “members of different cultures are more likely to respond differently to the same event or managerial approach” (Christina B. Gibson, 2004). This leads to misunderstanding among teachers and prevent the effective collaboration of teachers. If the problem is not solved the whole idea of team-teaching, all the resources both financial and emotional, and endeavors of contributors: teachers, school administrators and students will not meet the expected and desirable outcomes. The problem needs to be addressed as this reform requires a huge financial support in terms of salary for international teachers, their accommodation and health and safety issues. Policymakers should know whether this program is efficient and the outcomes are worth continuing. Another aspect of the issue is that current educational needs call for integration of subjects and teaming local teachers will take place in Kazakhstan. The experience shown in this case may leave a legacy for further transformation and adaptation of this teaching approach. Finally, one of the main goals of the country is to be involved in international educational community. Thus, international teachers may reveal the potentials and give an insight into the nature of Western education for all stakeholders: teachers, students, parents and administration. This may also influence significantly on the quality of teaching and learning. Sleeping two hours per day, forcing my eyes to work harder than they could, not perceiving most of the information, carrying 6 kilograms of textbooks and laptop, challenging own beliefs, rethinking teaching profession and the vision on education – this is the short list of things that I experienced during first year of studies at GSE. However, that year was the most interesting and valuable year for my transformation as a teacher, leader and a life-long learner. I discovered many topics for research, I broadened my mind and consequently, influenced minds of my students, I became interested in building professional dialogs with colleagues from different countries and I asked many tricky questions and encouraged teachers to rethink their role as a teacher. Looking back at courses, definitely, the most inspiring for me was Professional Identity, because it helped me to realize why I am a teacher and what my role is. As a novice teacher I was not confident in any decision taken by me and even in my job. But the motivational speeches of a professor, discussion with group mates who seemed to have similar concerns and the knowledge about my profession encouraged to move forward and expand borders of teaching career. This year I am expecting to get more inspiration, contribute to my research area and share that experience with interested people. Moreover, I think that second year of my studies will help to enjoy the process of learning. Since currently I am more confident in my reading skills and feel support of professors the fear of being misunderstood is gone. That will definitely reduce the emotional pressure and increase the potential of my thinking skills. Gibson B., C. (2004). Building Multicultural Teams: Learning to Manage Homogeneity and Heterogeneity. Blackwell Publishing.